BACK TO UNI GUIDE! A Segment Full Of Ideas To Help With University! 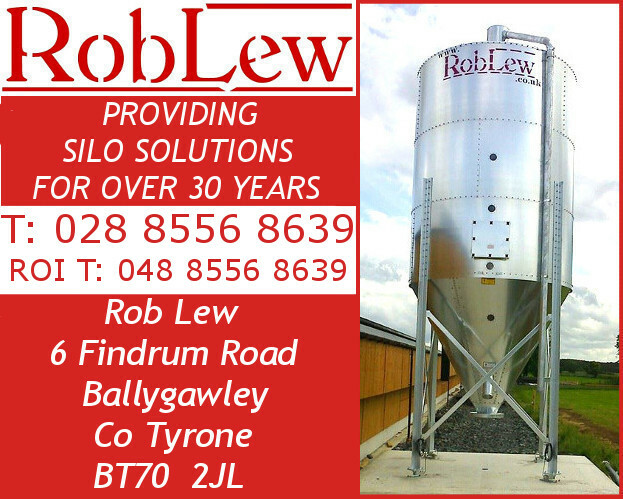 For Organisation & Efficiancy & important Resources! so Many Helpful Products & Services so Students Can Maximise The Return On Their Time @ Uni! Students should be placing Soylent at the top of their list when packing for University. It offers you all of the nutrients you need for those moments you don’t have time to eat and instead would order that unhealthy pizza, or pick up that packet of crisps which will make you feel fatigued. Soylent’s 20G protein and 26 vitamins keep your productivity levels high so you can enjoy that work-hard play-hard lifestyle you so desire. 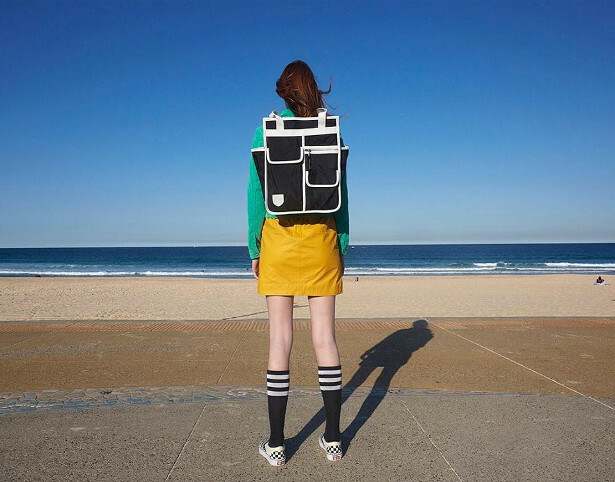 Goodordering design highly functional bags that you can carry on or off a bike, and their mini range of bags is perfect for back to school season. 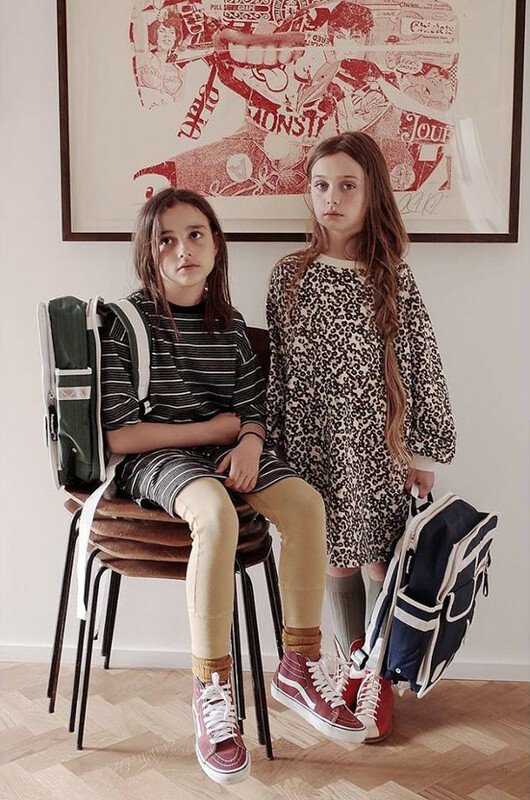 With high visibility straps for safety, and ergonomic design to match small proportions, plus plenty of pockets for stowing belongings neatly, the bags are very well thought through for school needs. 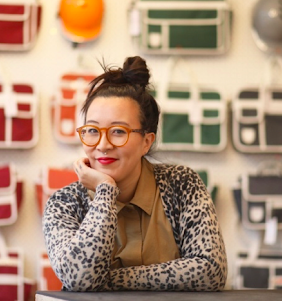 Founder of Goodordering, Jacqui Ma (pictured below), regularly cycles with her young family which inspired the Goodordering brand of clever bags and eyewear that make cycling easier to manage, more stylish, and more fun. 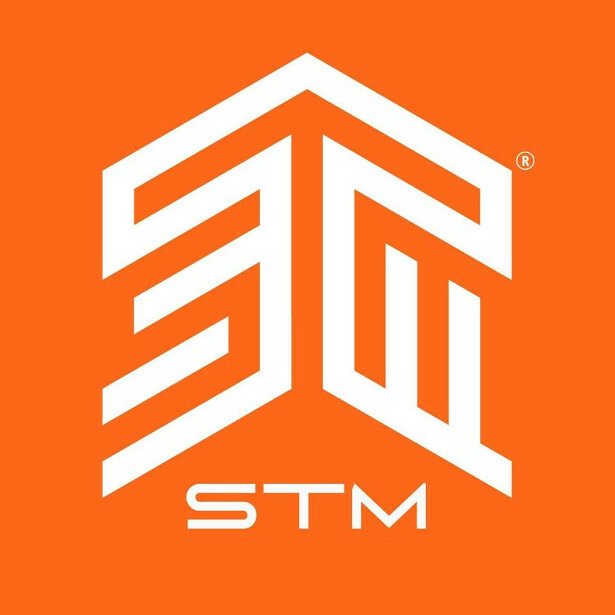 The brand’s mission is to encourage more girls in particular to give cycling a try, not only for the physical and mental health benefits, but also for the environmental impact and sense of community. Jacqui always tests out designs on her family and none get produced unless they meet their exacting standards! Goodordering is an independent design brand based in Hackney, East London. Founder and designer Jacqui Ma designed bags for Puma, Virgin Atlantic, Microsoft and Debenhams before working in trend prediction at WGSN. 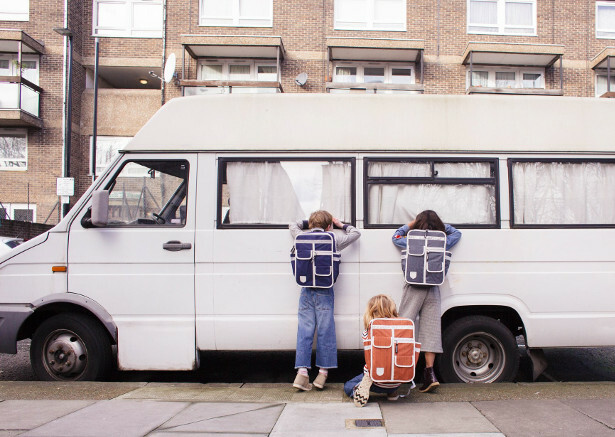 In 2012, as a working parent who cycled everywhere, after spotting a gap in the market for practical and stylish bags for urban cycling families, Goodordering was born. 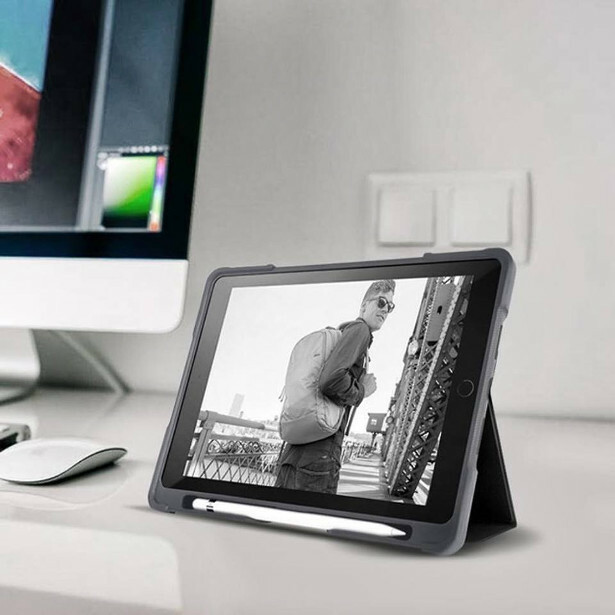 Launching through Kickstarter, the brand was an instant hit with Kickstarter’s innovation-savvy community. At the heart of Goodordering is the belief that if cycling is made more fun and accessible, more people will cycle more regularly. The physical and mental health benefits of cycling are well-known, with more and more people taking to two wheels every year. For those that haven’t (yet) there can be a number of reasons why, from road safety concerns to the ease of moving around when living a hectic ‘digital nomad’ lifestyle. It can also be pretty unstylish (thanks MAMILS!). For many women, it has felt like a ‘male’ mode of transport due to the brands and products dominating the market. And becoming a parent can add further complications to any 2-wheel adventures… although it doesn’t have to be this way! At Goodordering, our mission is to make cycling fun and easy for all. We celebrate the simple pleasure of taking life a little slower. 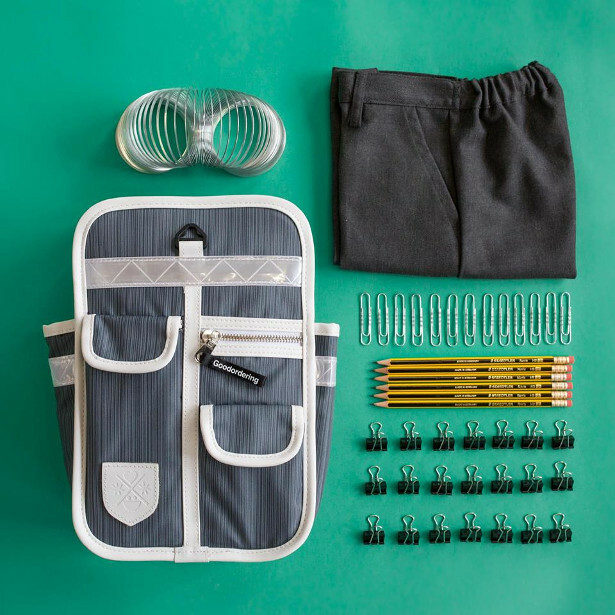 We also love great design, and adding a dash of fun to our everyday adventures, through the accessories we wear. The company was founded in a flat above a bicycle shop on Broadway Market and after opening a successful store in the East End (Goodordering’s ‘OFFLINE’ shop! ), now the brand has a store in the Gangman district of Seoul, South Korea. 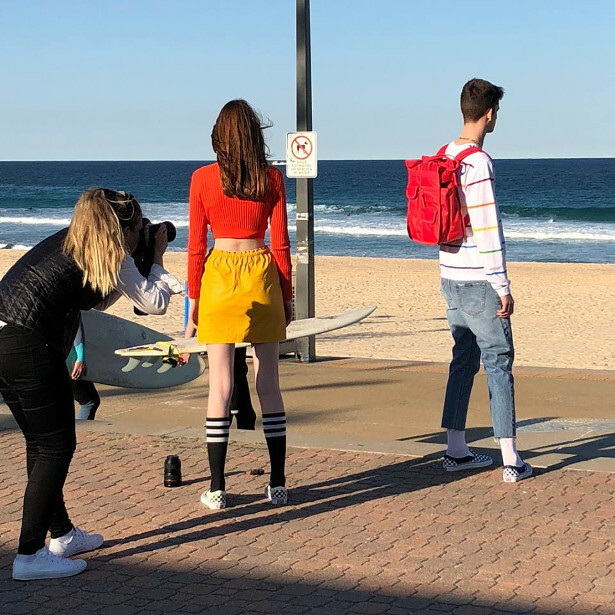 In fact, Facebook picked up on the Goodordering success story for their March 2018 Business Pages campaign, mentioning the Seoul store, with founder Jacqui featured on billboards and in the press, globally. In July 2018, the Dezeen Design Awards nominated Goodordering within their Transport Category, and the winners are to be announced in London in November 2018. 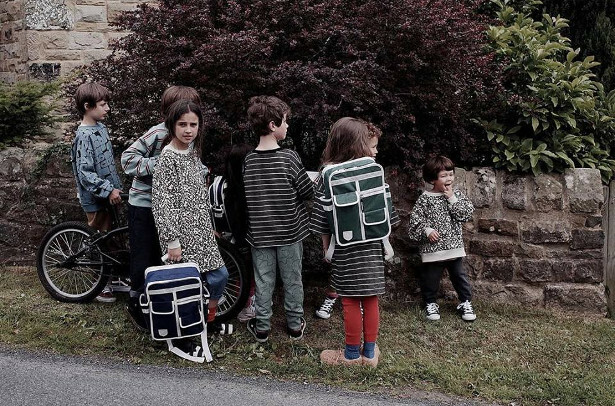 The range of bags include cycling bags for panniers and handlebars, baby buggy nappy bags, school bags (in ‘mini’ and full-size) and everyday work bags. 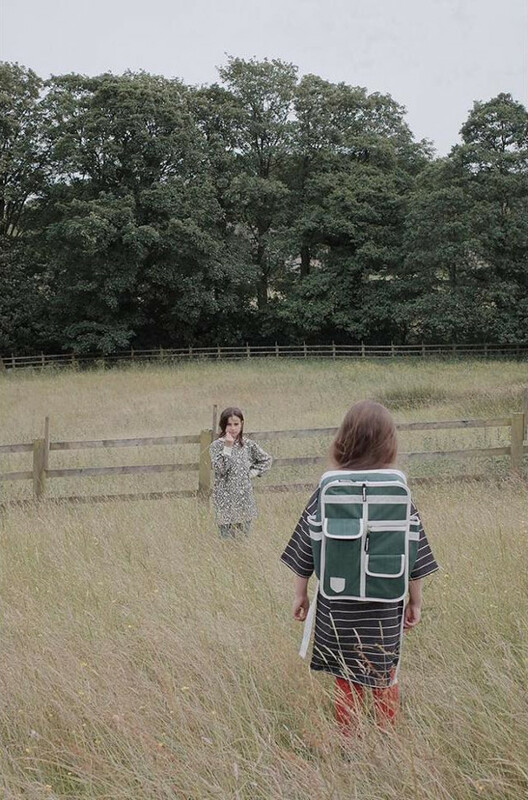 The range was inspired by Japanese school bags and 80s retro travel bags, providing a touch of nostalgia. The bags all have multiple pockets for organising belongings, extra padded straps for comfort on the move, and are water-resistant and hardwearing. 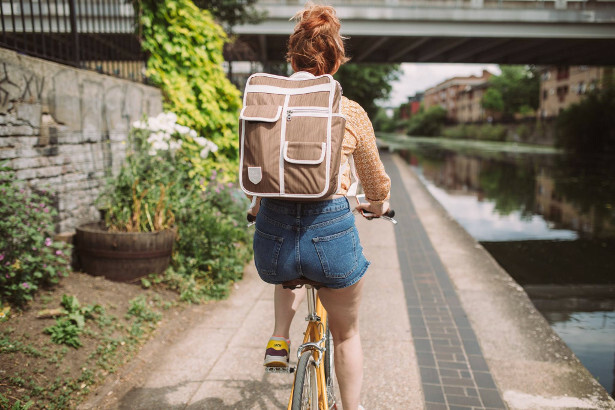 One of the key benefits of the range is the bags’ multi-functional design for seamless lifestyle transition; allowing a cycle pannier bag to convert to a handy shopper, a handlebar bag to a messenger, and a backpack to a family picnic hamper! The range extended in 2017 to include 3-in-1 multi-function eyewear (optical prescription, sunglasses and night vision). The brand name comes from the joy of ordering well at a restaurant. Jacqui says: “Our family often went out for meals together and after a very satisfying meal, we would all call out ‘Good ordering!’ to Mum. I wanted to capture that same spirit of delight and family together-ness in every aspect of the Goodordering brand”. The entire brand experience is designed to leave customers feeling good. This explains why the brand has seen steady success to date, particularly through focussing on creating a family atmosphere with staff and customers alike. The small female-only team (Jacqui’s ‘girl brigade’ of cyclists) are particularly passionate about coaxing more girls out onto their bike, to join in the fun. Feedback from customers is paramount in the design process, and many fans have become friends of the team. 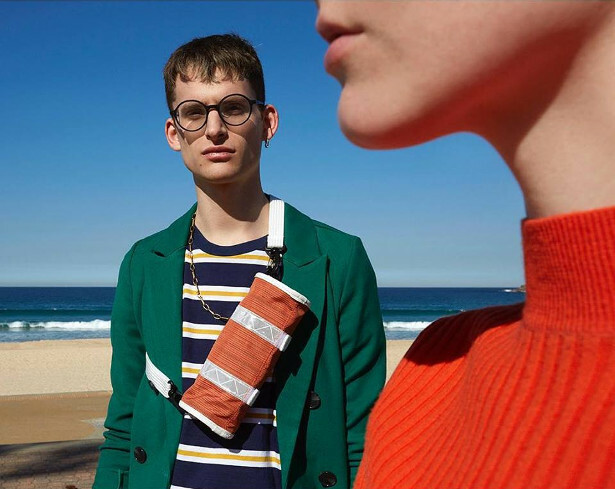 The next step for the brand is to further develop the growing community of style-savvy, working professionals and their families, otherwise known as ‘GOers’. Goodordering are planning inspiring local events and online hangouts, where GOers can find and give support to like-minded creatives and entrepreneurs, that value bold, intelligent design and family values. 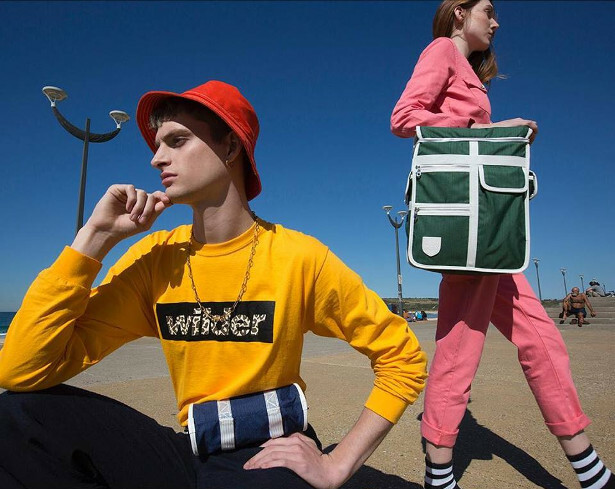 Goodordering is stocked in concept stores and independent boutiques globally, including Tokyo Bike, The Design Museum in London, Merci in Paris and Action Bicycle Club in New Zealand, to name a few. So, what are you waiting for? Get on your bike and get ‘Goodordering’! Summer carries on with Yankee Candle’s new Just Go range! Making Uni A home from Home! Yankee Candle is proud to reveal their new Just Go range! Inspired by travel, these scents allow you to keep summer alive even as you return to university with their four new scents; Coconut Splash, Warm Desert Wind, Tropical Jungle and Misty Mountains. Coconut Splash – Allow yourself to be transported to a Caribbean beach with this refreshing candle. Melon, Coconut and Mango come together to create a pure scent, with a hint of natural, tropical sweetness. Warm Desert Wind – This candle brings a rich scent of open space and distant lands. Fragrance notes include with smoked vanilla and patchouli. Tropical Jungle – This fruity candle brings a sweet, lush mix of tropical fruits and tropical flowers, which will get you feeling holiday ready. Fragrance notes include lime, papaya nectar and sugarcane. Misty Mountains – Immerse yourself in a cool, silent mist with fresh notes of pine, spearmint and lavender. Perfect for a summer’s evening! All the Yankee Candles are available in Large (£23.99), Medium (£19.99) and Small Jars (£8.99). 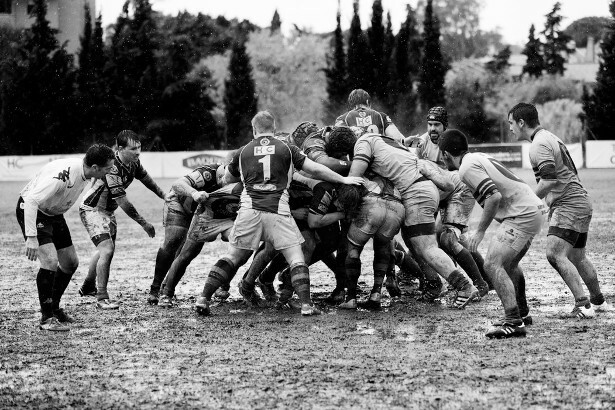 As schools and universities around the UK prepare to go back to classrooms this week and next, we speak to Callum Morin, captain of the rugby team at London Metropolitan University and a Sports Therapy BSc student about his top tips to prepare. Hi Callum. You’ve been a Fresher before. Can you tell us your top tips? I would suggest taking every opportunity to go out as possible, It’s a great time to go out and socialise and make friends for life. It is a bit daunting at first but it will be way worth it come the end of the year when you have a good group of friends that you could possibly be sharing a house with for the next two years. 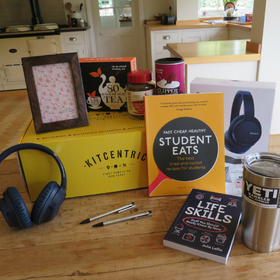 Also attend as many Fresher’s Fairs as possible – you’ve got to love the freebies and sign up for all the student deals such as ‘unidays’ etc. Also, make sure to grab ‘Morrison more’, ‘Tesco clubcard’, ‘co-op’ cards – they can be a huge help with saving money, whether its going for meals, buying clothes or just doing a weekly shop. What should people do to prepare for university? What kind of things should you take into halls with you? You definitely need to bring the essentials, such as pots, pans, plates and cooking utensils. I also think that a separate note pad for each module you take is a great way to stay on top of things, especially when it comes to revision. Also as much pens and bedding as you can carry, you can never have enough of either items. And it will put your parents at ease if they visit and see clean sheets on your bed. Tell us a bit about a typical day at university for you. What does being a Sports Therapy student mean? My typical day usually consists of an early start with a commute into London, on which I’d listen to music or podcasts which are suggested by our lecturers. Between lectures and practical sessions, I will try and fit a gym session and a bit of lunch. You can’t go wrong with a Tesco meal deal. You’re currently captain of the rugby team at London Met Uni. Do you think it’s important to get involved in sports at university? 112%, even if you are not super interested in a sport, give it a go because you will find a lovely group of people who will be there to help you out. I personally have made great friends with all the rugby guys and they have played a huge part of my university life. And you never know, it could open doors to paths in your life you never thought of taking. How do you get the balance right between studying and playing the game? I mean, study should always come first, however, because I look forward to seeing the guys at training and having a laugh I make sure my work is done before my other commitments. 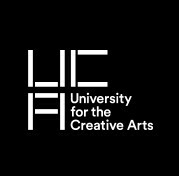 If you have a moment free and you are wondering what to do, grab some uni work and even half an hour’s work can make a huge difference. 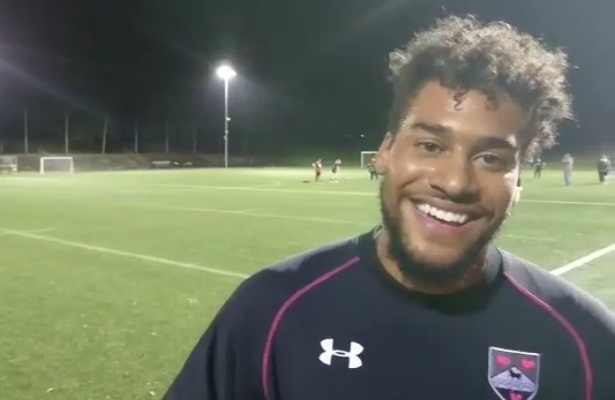 Tell us a bit about how you got involved in rugby. Have you played before [if so, which team(s)] or is this something you tried for the first time at London Met? When I was little I first played football however in high school, I started to notice rugby and it wasn’t until college I started to play rugby. The college I played with was Worthing College. 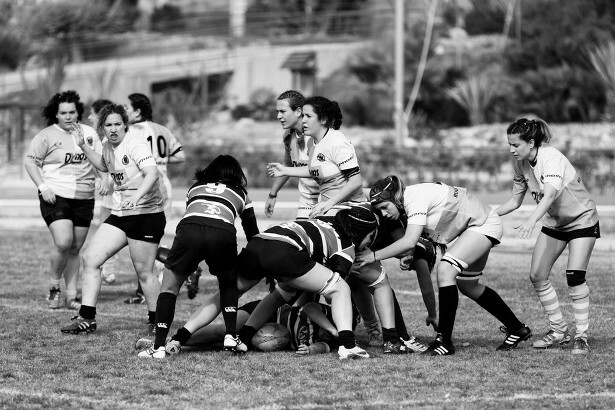 It was there where I began to learn the basics of the sport and get some game time under my belt. Over the course of my two years at college I thoroughly enjoyed the sport and decided to pursue it at university. What would you say to someone who perhaps wants to give rugby a go at uni but has never tried before? Firstly I suggest finding contacts of the university side’s coach or captain. 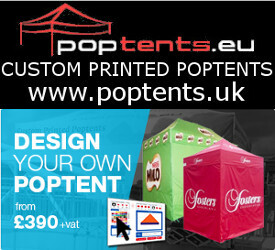 They will always be present at the Fresher’s Fairs and normally pretty hard to miss. If you aren’t afraid to get a bit muddy and collect a few scratches along the way, just get stuck in. Everyone in the rugby community is welcoming and friendly and you will soon learn to love the sport like I do. And finally, what is your favourite thing about the sport? I absolutely love the sense of camaraderie, there is no better feeling than putting your body on the line with your friends and enjoying a few beers afterwards. From starting the sport I have made great friends and great memories and would never look back. 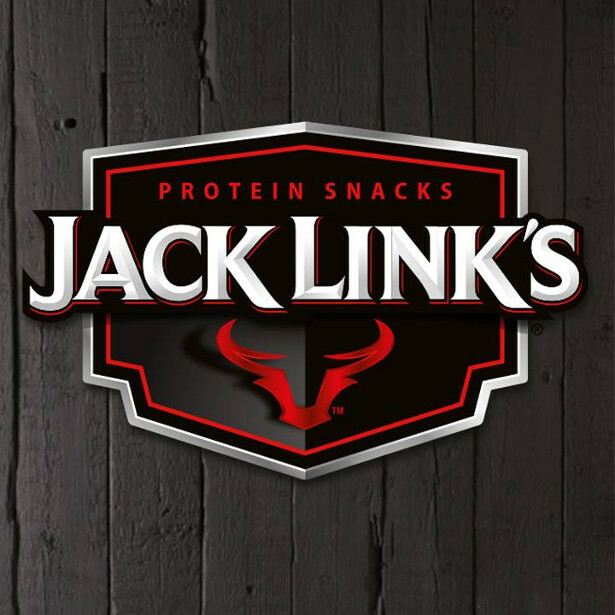 Gluten free, low in fat and super high in protein. 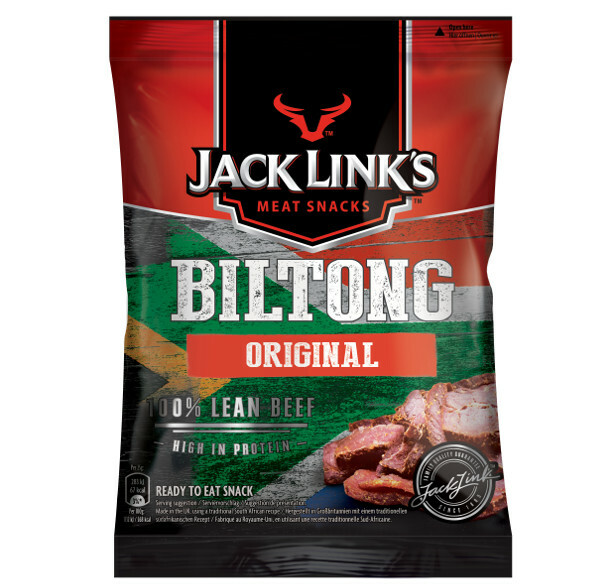 It’s also really tasty, having been made from the finest British beef, marinated and cured with authentic South African spices. Available from supermarkets and convenience stores nationwide with an RRP of £1.50 for a 25g pack and £2.99 for a 70g pack. September is an exciting month, with the first semester of the new university year looming. Second and third year students will be returning, and for first years it will be a big change, starting fresh in a new environment. No matter what year your child is heading into, make sure to send them off with all the right necessities, especially the bedding. 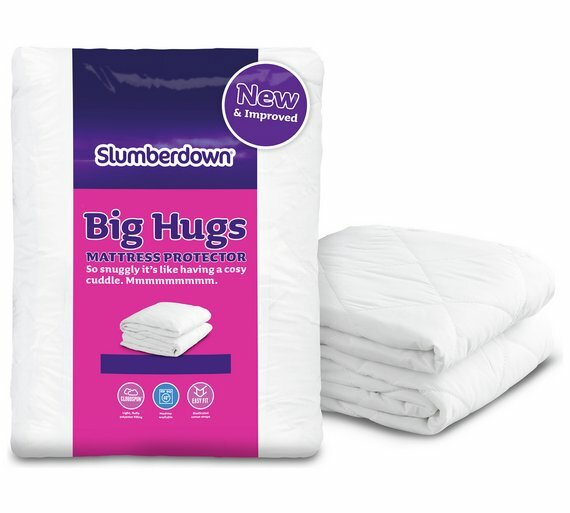 The Big Hugs range from Slumberdown is exactly what they need for a cosy night’s sleep. 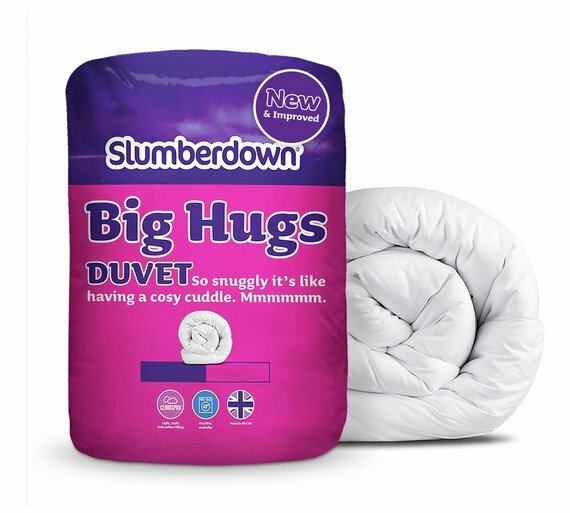 The new and improved range includes a hollowfibre filling that is soft and comfortable, and gently wraps around the contours of the body so it stays with you as you move in the night. What better way than to send them off with a big hug? 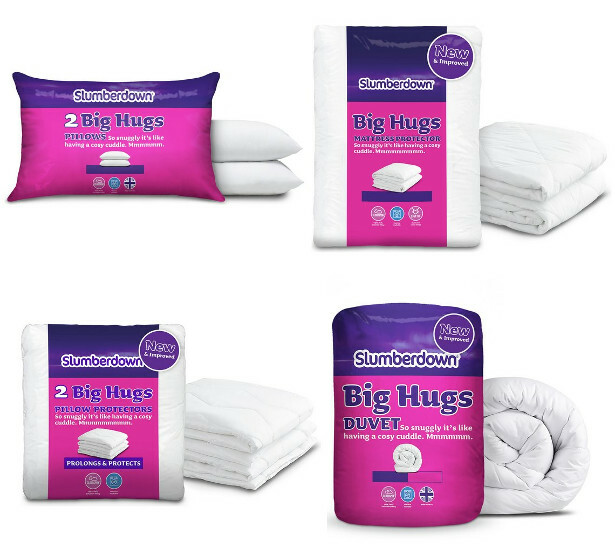 The Big Hugs range is available at Argos and prices start from £8. 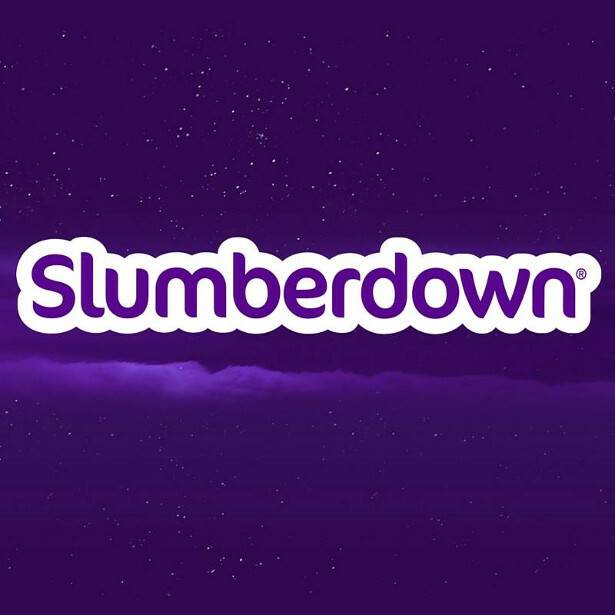 At Slumberdown, we think that a good night sleep is something that every family deserves. That’s why all our bedding delivers the perfect mix of quality fabrics, cuddly soft fillings and unique features to meet the needs of all the family. 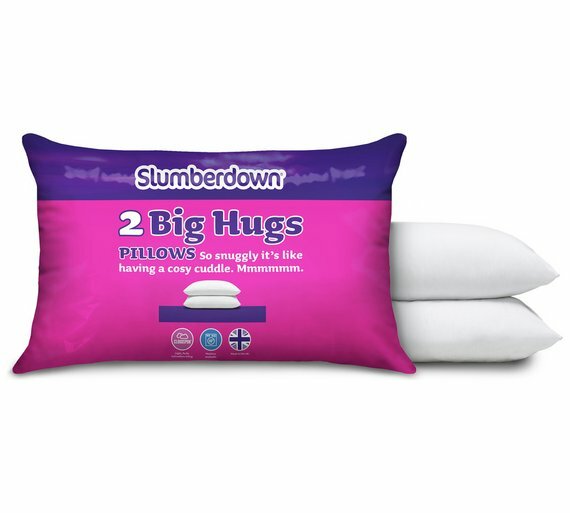 We know it can be a nightmare finding the right duvet and pillows for you. Which is why we have created a whole range of special duvets, pillows, toppers & protectors to make sure the whole family can sleep happy. 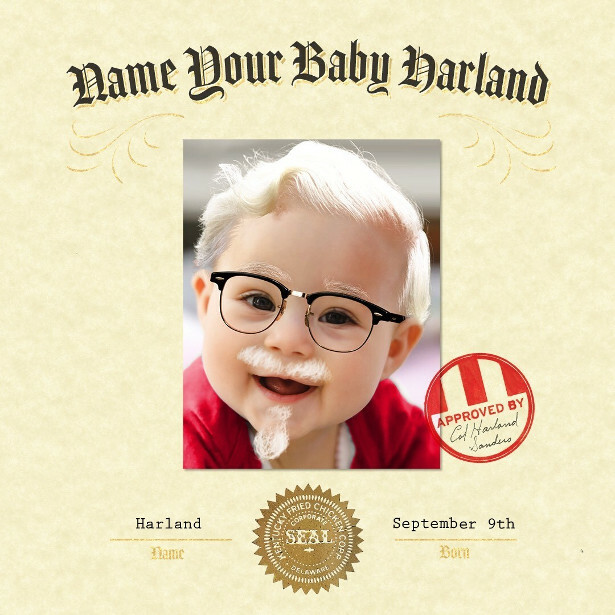 The first baby born on the Colonel’s birthday (Sept. 9)and named Harland will win a college donation! August 29, 2018 –Louisville, Ky. –Kentucky Fried Chicken® was busy celebrating its founder Colonel Harland Sanders’128th birthday in the best way possible–by launching a contest to inspire the next generation of Harlands. According to the U.S. Social Security Administration, “Harland” ranked #3,257 on the list of most common baby names for 2017. To honor the world’s most famous chicken salesman, continue his namesake and inspire the next generation of entrepreneurs, KFC offered a college donation to the first child born on the Colonel’s birthday (Sept.9, 2018) named Harland. As a birthday gift from the Colonel and KFC, the first baby Harland received $11,000 (in honor of KFC’s 11 herbs and spices, of course!) to go towards their college education, setting them up for future success. 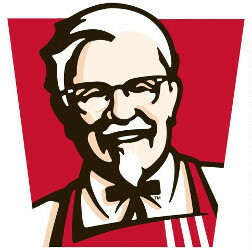 Colonel Harland David Sanders was born on September 9, 1890. Ever the entrepreneur, Harland Sanders did things the Hard Way. Whether bouncing back from a series of failed jobs and business ventures or founding Kentucky Fried Chicken in his 60s, Harland never gave up. Harland’s grit, passion and fervor are what KFC wants to instill into the next generation.“Even though vintage names are making a comeback,our iconic founder’s name was dwindling in popularity, and we couldn’t just stand idly by and let that happen,” said Andrea Zahumensky, KFC U.S. chief marketing officer.“We hope that this birthday celebration honors the Colonel and encourages the next generation of people aspiring to live the American dream.”Beginning on Sept. 9, parents can submit the name, date and time of their baby Harland’s birth along with their contact information on www.kfc.com/babyharland. The site will be live for 30 days, giving parents time to adjust to the newest addition to their family. The baby’s first name must be Harland to qualify,and each entry will be vetted appropriately to ensure that the winning child was in fact (among those who entered) the first Harland born on Sept. 9, 2018. Additional rules and regulations can be found here. NO PURCHASE NECESSARY. Open to legal residents of 50 United States and D.C., age 21 or older who add a child to their family whose legal first name is “Harland” and who was born between 12:00 AM ET on 9/9/18and 11:59:59PM ET on 9/9/18. Void where prohibited. Contest ends at 11:59 p.m. ET on October 9, 2018. This newly updated and extended book will transform your ability to deal with stress and create a healthy balance at work. Back in 2006, I experienced what in the old days would have been referred to as a work-related “nervous breakdown”. Those seem like a very loaded words when I look at them now. I’m pleased to say that over ten years on, I have never felt better and know for sure that the dark days are well behind me. As a Chartered Psychologist I’ve learned far more from my own life experience about how to deal with stress and create a healthy work life balance than I ever did from studying or taking exams. I wrote this book to help others who may be experiencing what I often felt, until I discovered the ideas I’m about to share. – Did you set out in business to feel this stressed and tired? – Are you finding it difficult to get life and work into any sort of balance? – Are relationships with friends and family suffering? – Are you experiencing low energy and libido? – Are you unhappy with your body image and what that’s saying to others? – Are you struggling with health challenges and concerned about the impact? – Do you feel stuck and just want some practical help to move forward? 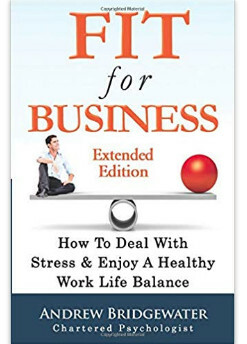 I wrote ‘Fit For Business’ to help others avoid the sort challenges I faced when ending up in a psychiatric hospital in 2006. Suffering from severe depression and contemplating suicide, I could find little practical help or support to deal with the problems I was facing. This book is a powerful and moving story of recovery, as well a formula for dealing with stress and depression. It sets out a simple 12-week programme of small changes that together help create a healthy work life balance without the need to resort to prescription drugs, which often have unpleasant and potentially long-term side effects. I also want to challenge the stigma associated with mental illness. For too long, chronic stress, depression and anxiety at work have been taboo subjects that people feel reluctant to talk about. Any help that is available usually focuses on attempting a quick fix, rather than long lasting prevention and a good work life balance. This book tackles the stigma head on and provides powerful methods for dealing with stress in natural, healthy and lasting ways. I look forward to being able to help you. Andrew ps My readers can get both the audio mp3 and ebook editions of this book – at no cost. Just go to https://gum.co/fitforbiz click “I want this” and enter “launch” (no quotation marks required) at checkout to get the PDF and audio mp3 reduced from £8.95 to £0! 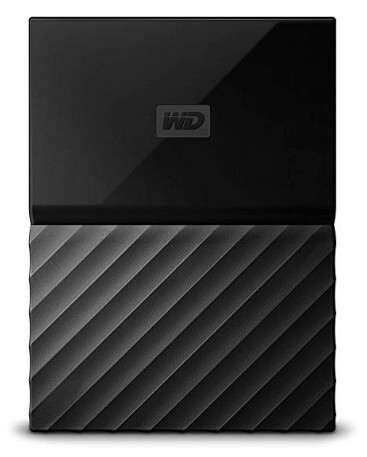 Amazon’s Choice, My Passport drive automatically backs up your photos, videos, music and documents. 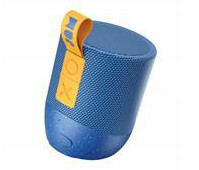 The device is also passport protected, easy to use and has a vibrant, colourful design. 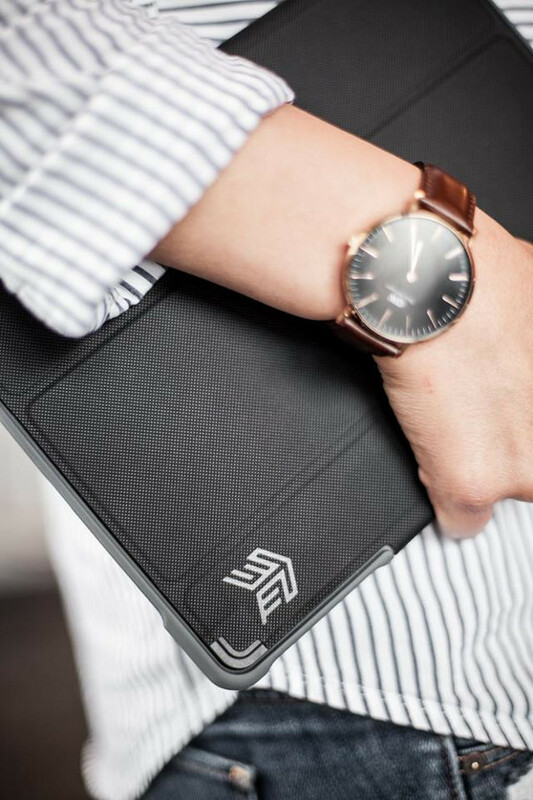 The sleek style fits comfortably in the palm of your hand, so you can easily take your content everywhere you go from lectures to the library. Going to Uni is a time when you really don’t want to be overspending where you don’t have to, especially on your mobile phone bill. Saving a little bit here and there could be the difference between not living on instant noodles or paying for that project to be printed. However, it’s also one of the main times where your mobile phone is going to become your saviour. Whether that’s pinging messages backwards and forwards in that new WhatsApp group, reassuring your parents that you’re safe on those student nights out or using it to do research on because of dodgy student digs WIFI. If you’ve been on a contract that included paying extra for the handset (which you’re perfectly happy with), you discover you’re continually holding your phone up to the sky to try and get a 4G signal, or you keep having to buy data bolt-ons then read on! yboo is a money-saving app, available for free on Apple and Android devices. There are no forms to fill in and no estimating usage to try and find the best mobile phone deal. yboo works quietly in the background, while you go about your day, monitoring and collecting data on your data, text and call usage before compiling a list of the best SIM-only deals to save you money. Unlike higher-profile money-saving sites that make recommendations based solely on pricing and require you to estimate the amount of data you need, yboo is tailored to how you use your phone, offering more accurate results. yboo will also tell you how reliable the network signal is based on where you use your phone, meaning you can find out how good your network is at home, university and the places you like to hang out. With official Ofcom figures showing that Brits typically overspend by £159 per year on their mobile phone contracts, installing yboo could make an improvement to your monthly bank balance! Founder and CEO, Martyn Gould said: “yboo is a really sound and easy way to circumvent the issues of overpayment on mobile phone contracts. “yboo does the hard work, so you don’t have to. There is no more need to spend so much time sifting through ambiguous deals which may or may not apply to you. So, if you’re a student looking to save money for the more critical matter of fresher’s week, or just a money-savvy individual keen to cut down on your monthly bills, yboo could be just the app for you. YAZOO, the nation’s number one flavoured milk drink brand , is launching Limited Edition Choc Mint flavour just in time for the summer. Come rain or shine (fingers crossed for shine!) this delicious new flavour came out top in a poll of flavours that consumers would like to try . The perfect pick-me-up for an afternoon slump, YAZOO Choc Mint is a great source of protein, calcium and vitamin B2. What are you waiting for? 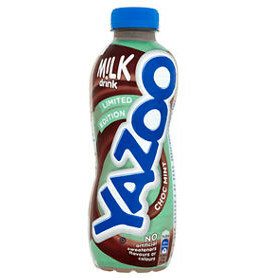 YAZOO Choc Mint is in-store now in 400ml bottles at Asda and local convenience stores (RSP £1.15). Want a clean start to the new university term? 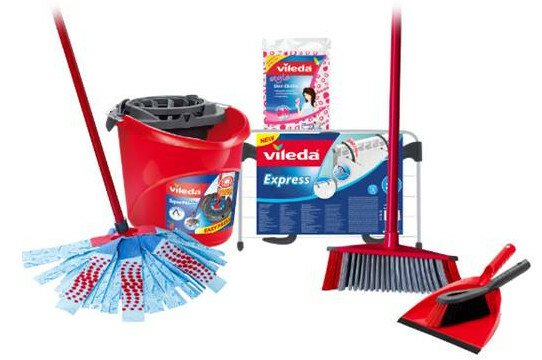 Vileda has created a university essentials cleaning kit which provides laundry, floor and surface cleaning solutions – including the UK’s no.1 best-selling mop and bucket* – with a saving of more than 1/3 off. The number one best-selling* SuperMocio 3Action XL Mop and Bucket Set, which now offers 25% extra floor contact versus the previous SuperMocio 3Action (internal laboratory test). The specially designed mop head has three main cleaning zones: the red non-scratch scourer for tough dirt removal, the Blue microfibre zone for greasy dirt removal and the 3D red smart fibre dots for extra hair and particle pick up. The bucket has a torsion wringer designed to twist and squeeze the water from the mop with less effort from you. An Express Radiator Airer which hooks onto your radiator with extra strong arms and offers three metres of drying space – perfect for when you’ve emergency washed some essentials and drying space is limited. A 2in1 Dust Pan Set which includes a flexible rubber lip for easy collection even on uneven floors and two types of bristles; 1. Black bristles for fine dust, particles and hair pick up. 2. Red angled bristles for effective corner cleaning – great for the morning after. A 3Action Broom which has been specially designed to bust the dust, using the very latest in broom technology to eliminate dust and dirt from hard floors using a special bristle formation. A Style Dish Cloth which not only comes in an attractive design, but its durable material is long lasting, super absorbent and can be machine washed. Perfect for everyday cleaning tasks. Offer valid on Vileda Online Shop (shop.vileda.co.uk) from 6th August – 30th September. The top piece of advice was to embrace the social side of university, with one fifth of students surveyed encouraging this year’s freshers to make the most of the uni social scene. With research2 showing that it takes 200 hours to become best friends with someone, it’s time to throw yourself into the social side of Uni and you could make friends for life! Nearly one quarter of those surveyed pinpointed sourcing different kinds of discounts as their top piece of advice for new students. Whether it’s only ordering pizzas when you have half price Dominos vouchers, joining UniDAYS/ NUS for student deals, getting into clubs before 11pm for free entry, or finding student deals on social media – savvy spending was a top recommendation for this year’s freshers. Nearly one fifth of those surveyed encouraged freshers to get involved in societies and sports at university. Not only is it a great way to meet like-minded people, but many recruiters3 emphasise the value of extra-curricular activities when it comes to getting your first graduate job. Almost a quarter (22%) of students advise new students to plan food shops to avoid waste. The average household is said to waste a whopping £470 each year on food, so minimising food waste is a great place to start when living on a tight budget. To avoid any panic runs to the shops for loo roll, almost one in ten students (9%) recommend keeping an extra stash in your room for emergencies. 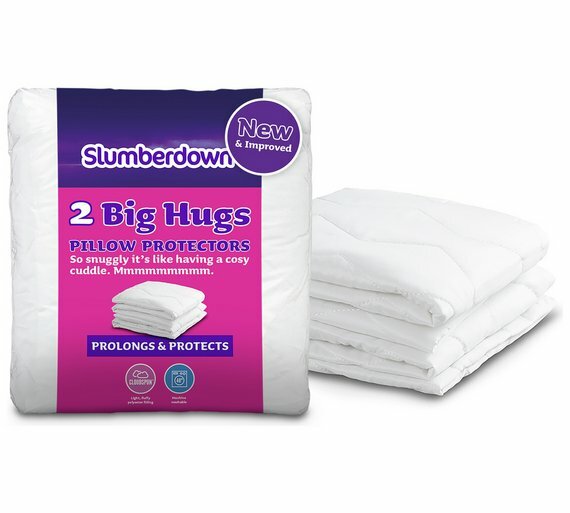 So, if you’re doing a shop with mum and dad before they drop you off at your halls, make sure you pick up your student essentials – from a supersize pack of loo rolls to a pack of Pro Plus! Over half (51%) of students recommend working ahead of deadlines to avoid last minute stress. Work backwards from your deadlines to figure out how much time you need and what books you require from the library for each module. This will stop you from feeling overwhelmed by leaving things to the last minute. Nearly 1 in 10 (8%) students cited learning how to reference properly as their top piece of advice for new students. For many degrees, coursework is a large proportion of the workload, so make sure you learn how to reference early on. Most universities offer generators and platforms to help you with this, so get to grips with these as soon as you can to avoid hours of pain! One tenth of students recommend buying second hand books to help save money. 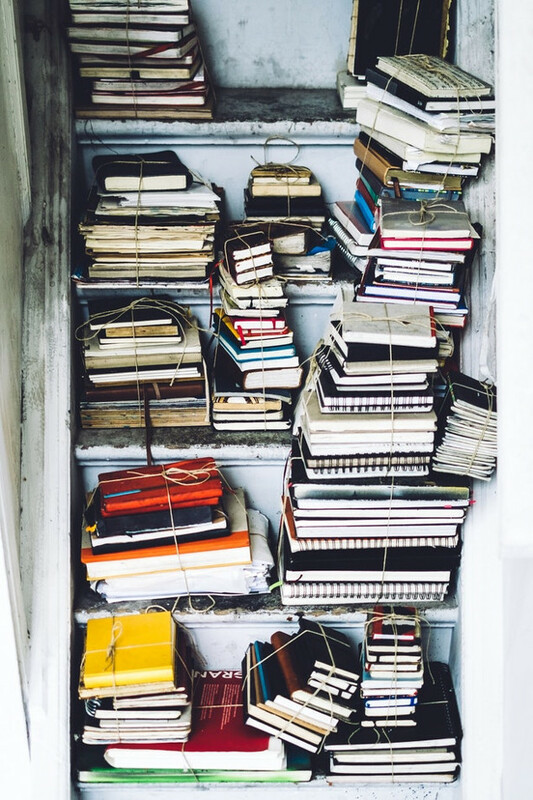 With students in the higher years often no longer needing books for modules, it’s worth seeing if you can strike a deal on these hand-me-downs. Although it may be tempting to spend all night partying, 15% of students highlighted getting a good enough sleep as their top piece of academic advice. With trouble to think, memory issues and mood changes linked to a lack of sleep, your studies may be impacted if you don’t get enough shut eye. With a heightened focus on meeting consumer demand, Ginsters have been working with award-winning Cornish head chef Chris Eden to develop some new and exciting flavours – their two most recent collaborations the Moroccan Vegetable Pasty and the Cornish Cheddar and Caramelised Onion Pasty are both suitable for vegetarians or those opting for a flexitarian diet. Ginsters has also launched two new chicken slices for people who are more concerned with choosing healthier options. The Chicken Katsu and Chicken Piri Piri slices are both bursting with global flavours and are less than 375 calories. With an RRP of £1.79 they are an affordable choice for students and provide a hearty snack or can be served with accompaniments as a main meal. They cover the essentials in sending your teen off to uni, and get more extravagant as they go along – Mini, Classic and Ultimate. As we approach the start of the new academic year, young people across the UK will be taking the big emotional step of a new independent life, with many living away from home for the first time. But there are concerns around the rising number of students who are struggling to cope with life on campus, with more than three quarters (78%) of UK students experiencing significant stress at university, according to new research from Epson. While the transition to a new lifestyle, exams, deadlines and tuition fees are the usual triggers, high living costs are equally troubling. Over 64% of university students admitting to getting stressed about their living expenses more than tuition fees. The research highlights the need for students to put the right resources in place to help manage their budget to ensure they are best prepared to handle what can be a stressful transition. BLOCKHEAD has launched the UK¹s first energy chewing gum, which gives you a caffeine boost equivalent to a shot of espresso in just five minutes. 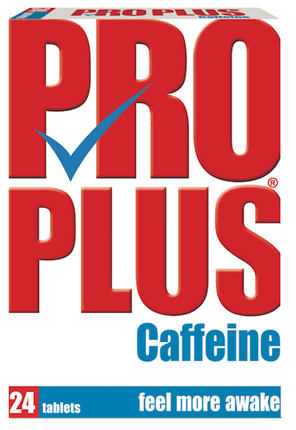 Giving an energy kick significantly quicker than coffee or energy drinks, which take up to 25 minutes before the caffeine reaches your system. Offering a flavoursome and convenient substitute to unhealthy and high-sugar alternatives, the sugar-free gum¹s ingredients are scientifically proven to increase focus, fight fatigue and improve oral hygiene. 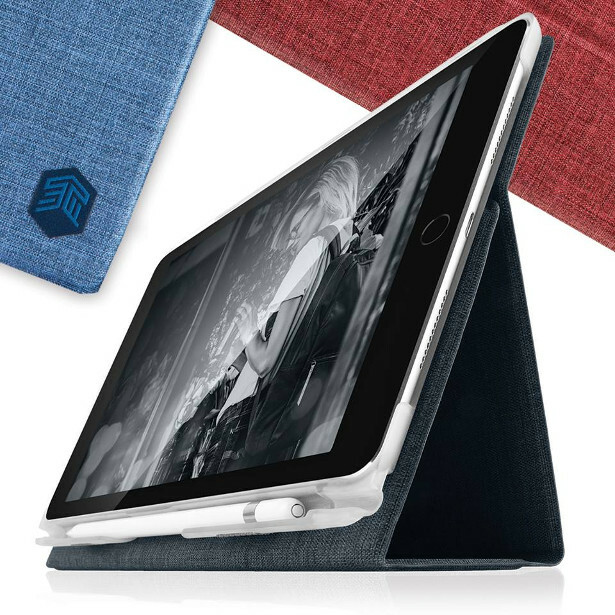 BLOCKHEAD is perfect for both sports and everyday life, whether it¹s an important meeting at work, cycling home at night, going for a run or even a date. Along with Energy Gum, BLOCKHEAD has introduced Vitamin Gum, which contains 100% of your recommended daily allowance of vitamins D, C, B6 & A. Owing to the fact that one in five adults in the UK are deficient in Vitamin D, the gum is a convenient way to maintain your body¹s healthy function, boost your immune system and fight off infection with no hard-to-swallow pills. Now available in over 2,000 retailer outlets nationwide, including Morrisons, WHSmith, Ocado, Amazon and Holland & Barrett, with further tie-ups soon to be announced, BLOCKHEAD¹s genuinely innovative gum products are aimed at adults in need of an immediate, healthy and convenient energy or vitamin boost. With freshers’ week just around the corner, students across the country are readying themselves for the beginning of three years of partying, drinking, and maybe even the odd lecture here and there. 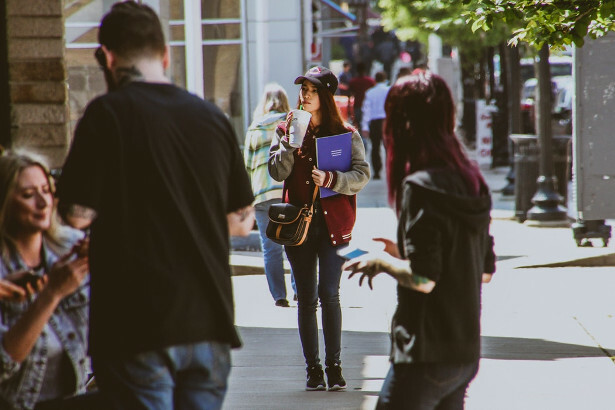 Whilst for many, the prospect of going off to university is full of excitement and promise, for others, the thought of leaving home, moving to a new city and having to meet new people, can lead to feelings of nervousness, apprehension, and anxiety. While anxiety symptoms vary from person to person, in general the body reacts in a very specific way to anxiety. When you feel anxious, your body goes on high alert, looking for possible danger and activating your fight or flight responses. As a result, some common symptoms of anxiety include feelings of restlessness, tension and hyperventilation. Talk to somebody. Whether it’s to a parent or guardian, friend, or member of the university support staff, share the way you are feeling with somebody you trust. Take each day as it comes. Thinking too far in advance can quickly amplify your worries. View each day as a small step on your journey and try not to overthink. Eat healthily and stay well. Late nights and shallow pockets are a feature of student life, and can often lead to junk food diets and constant colds. But good physical health and good mental health go hand in hand- an early night and some fruit and veg every now and then can go a long way! Try a traditional herbal remedy. 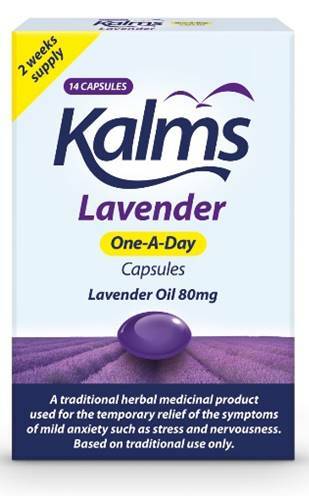 A simple, cost effective option to relieve the symptoms of mild anxiety is now available, with uniquely prepared, pharmaceutical quality lavender oil in a one-a-day capsule – Kalms Lavender (RRP £6.99) provides an effective, herbal option to relieve anxiety. Stay active. 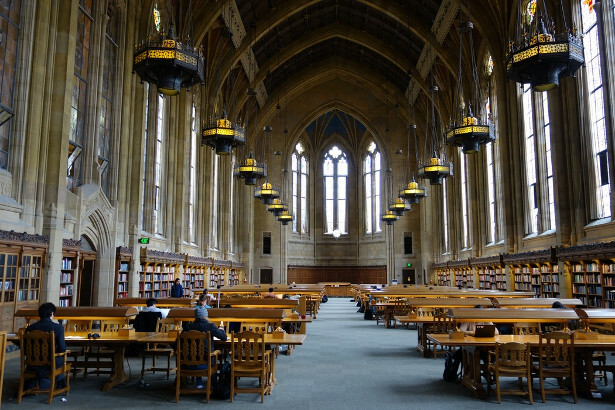 Students are considered by many to be sedentary beings, but that needn’t be the case! Whether it’s going out running or cycling, or joining a university sports society, exercising can effectively help to reduce the symptoms of anxiety. The Double Chill is great on its own, but it’s twice as nice when paired with another speaker for stereo sound. 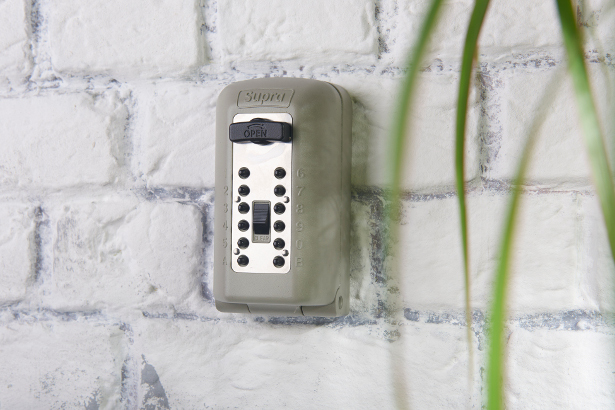 Its rugged design and waterproof construction are ideal for a day on the beach or by the pool, and the 30-metre/100-foot Bluetooth™ range and 12 hours of playtime mean no rush to recharge. Elevate your summer music experience whilst giving back to the environment with House of Marley’s latest release, the Uprise wireless sport earphones. The Uprise offer quality performance with a comfortable fit during any activity. 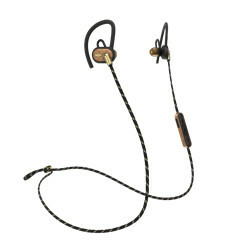 The modular design allows for minimalist ear hanger and loop options to ensure they stay secure throughout a run or through the airport, while their IPX5 rating makes them both sweat and weatherproof. Crafted using recycled, natural wood-fibre composite, and fully equipped with a travel case made from recycled water bottles and 100% recyclable packaging, the Uprise wireless earphones are a conscious alternative to the plastic heavy products on the market today. 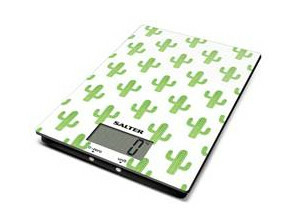 Let’s get straight to the point and introduce you to the brand-new Cactus Digital Kitchen Scale by Salter. With Salter’s history in accuracy and precision, the Cactus Scale keeps your kitchen looking sharp and your measurements on point. The large ultra slim glass platform makes the scale hygienic and easy to clean and its Add & Weigh function allows you to measure multiple ingredients in the same bowl. Not to forget, Botanical is in, prickly cactuses are on trend and who doesn’t love a little greenery to brighten up their kitchen? 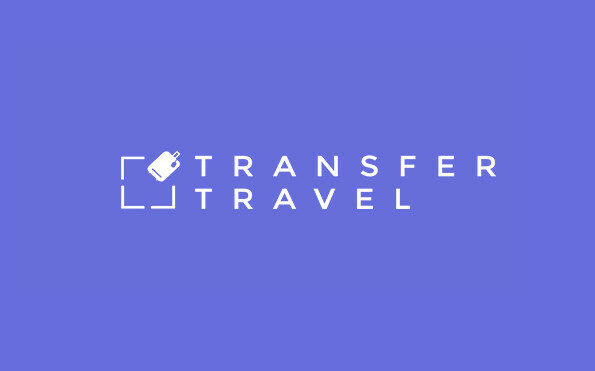 TransferTravel.com is an ‘eBay-style’ web platform for travel which helps consumers who can no longer go on pre-booked, non-refundable travel arrangements recoup some of their money. Sellers can list anything from accommodation, flights, package holidays and cruises and buyers are guaranteed a bargain. The easy and intuitive website is purposefully simple, mirroring its problem-solving business credentials and making it easy for both those searching for travel bargains and those looking to list their travel. The following are a snapshot of late deals that have been listed on the TransferTravel.com marketplace this week. London: All-inclusive. TransferTravel.com offers seven nights in Tunisia at £475 per person based on two adults sharing (saving 14% was £1106 for two) staying at IBEROSTAR Royal El Mansour on an all-inclusive basis, flying from Luton Airport on 28 September. London: Flight-only. TransferTravel.com offers one return flight to Ibiza for £171, suitable for a long weekend, (saving 30% was £245) flying from Luton Airport on 22 September and returning 26 September. Accommodation-only, Paris, France. TransferTravel.com offers seven nights accommodation in Paris for £272 per person based on two adults sharing at the Aparthotel Adagio Access from 26 November. Accommodation-only, Morocco for five. TransferTravel.com offers ten nights accommodation in Morocco for £250 based on five people sharing at the Club Almoggar Garden Beach, Agadir, Morocco from 29 September. To help everyday Aussies ensure they are snacking on the right things when the mid-morning or 3pm munchies hit, SPC are launching three new pouch pack ranges to assist kids and adults in their pursuit. Often challenged with balancing a healthy lifestyle amongst a demanding daily schedule, many Australian’s struggle to reach for the right snacks or fill their children’s lunchboxes with things that are nutritionists yet enticing. Venturing into a new format, the three ranges jam pack the goodness of real fruit into convenient pouch packs, appealing to the ages with products including: Puree & Simple, perfect for lunchbox snacks (4-7 years), SPC FRUMAX, for busy tweens between after school activities (7-15 years), and Goulburn Valley FRUIT PLUS for women on the go. “We know many Australian’s want to make the right choice when it comes to snacking for both themselves and their families. At SPC we want to make things easier for consumers to make positive choices about the products they buy. Our new pouch packs do exactly that, helping Australians consume fruit that not only tastes great, is great quality but is now even more convenient!” says Simone Coté, General Manger Marketing and Innovation, SPC. As well including no artificial colours, flavours or preservatives, the packaging makes it easy consume no matter where you are, with extra-large spouts ensuring no goodness is left behind. “Along with tasting great, our product have been developed to the needs of women as well as busy families on the go – where the daily chore of packing a lunchbox or filling a hungry tummy after school can be, just that, a chore. Best of all it allows parents to feel confident in with the quality of the products they give to their children,” Coté says. • Puree & Simple: Using Australian grown fruit, this product is perfect for children aged four to seven. Available in a wide range of flavours including: Apple & Strawberry; Apple & Mixed Berry, Apple, Peach & Pineapple, Apple & Mango, and Apple & Banana. SPC Puree & Simple range is both convenient and healthy for growing tummies. SPC Puree & Simple are available in a 4 pack from for $5.00. • Goulburn Valley FRUIT PLUS: Providing women with a healthy fruit snack enriched with the goodness of chia and coconut comes the Goulburn Valley FRUIT PLUS range. If it is a quick grab option for breakfast or a snack, the Goulburn Valley FRUIT PLUS pouches provide Aussies with a unique source of nourishment using locally sourced fruit. Flavours range from Apple & Cinnamon with Chia, Strawberry & Berry with Chia, Apple, Pineapple, Banana & Mango with Coconut and Apple, Banana & Honey with Coconut. Goulburn Valley FRUIT PLUS are sold separately for $1.50. SPC has been committed to bringing premium packaged Goulburn Valley fruit and vegetables for Australians for over 100 years. The new range of SPC Fruit Pouches is a new way Aussies can enjoy this goodness on the run. 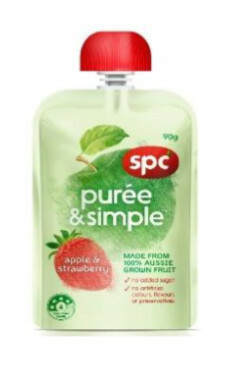 Australians can now purchase SPC Fruit Pouches from Woolworths, Coles and Independent grocers. Only 7.7% of people in the UK can speak another language other than English. This year’s A level results showed an even steeper decline in the uptake of modern languages and this was also reflective in GCSE results. With Brexit around the corner, the growing concerns around how the UK will be able to bridge the language skills gap have been brought to the forefront. This is why Lingvist, a language learning platform that utilises artificial intelligence and machine learning to tailor courses to the individual, is offering students 20% off subscribing to its premium pioneering language learning platform, in an effort to get more young people in the UK learning languages. Their pioneering AI algorithm, which they call ‘Knowledge Mapping’ has garnered them a reputation as one of the most effective language learners on the market. It was developed by Mait Muntel, an Estonian former astrophysicist who was part of the team that discovered the Higgs boson particle! Their subscription platform, Lingvist Unlimited, expands on its free service with features like voice recognition, learning map technology and unlimited words. The subscription costs 19.95GBP a month and you can find information about pricing at lingvist.com. For your reference, people may use the code ‘STUDENTSEPTEMBER’ to claim their discount on the promotion input, which can be found on the pricing page. So what does the Lingvist Unlimited platform offer? More young people have university degrees than ever before. Between 1995 to 2016, the percentage of people with tertiary qualifications grew by 20%, this is according to the Organisation for Economic Co-operation and Development. As a result, competition for skilled positions is steeper, particularly when entering a workplace that is increasingly pressured, globalised, diverse and fast-paced. Checking the boxes for a qualification no longer guarantees a job, and employers scan their applicant pools for individuals that stand out. “Employers are looking for graduates with well-rounded knowledge, fresh perspectives, the ability to upskill and take on diverse roles. The specialised knowledge offered by traditional curricula is becoming less relevant to a workforce that requires adaptability and critical thinking skills,” says Rebecca Pretorius, Country Manager for Crimson Education, an education and mentoring company that works with high-schoolers to gain entry to top universities in the States and the United Kingdom. In the United States, the tertiary education system is geared towards fostering well-rounded knowledge, actively seeking to meet what employers are looking for. 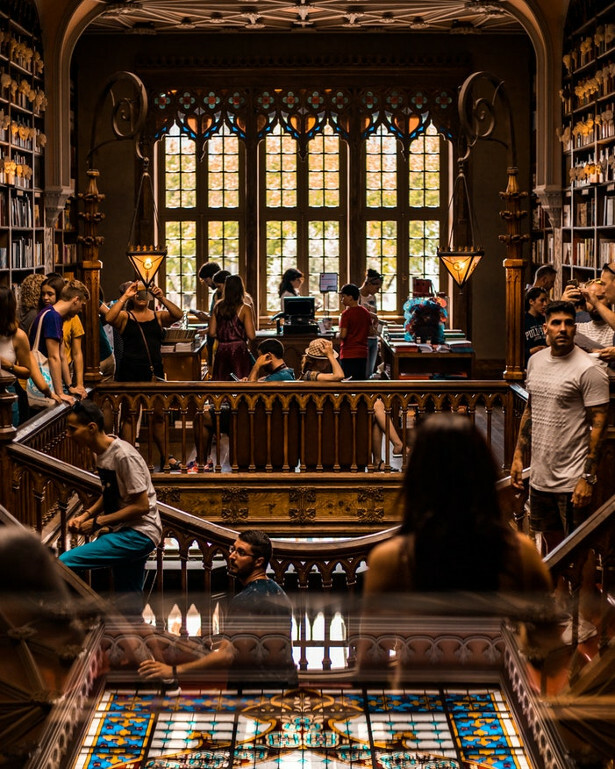 A survey by the Association of American Colleges and Universities found that 80% of employers think that students should acquire broad knowledge at university that stretches across the sciences and arts. In line with this, universities tailor their admission procedures towards finding candidates with diverse skills and interests. “While South African and UK application processes rely largely on academic results, US universities want to know a student’s passions, experience, extra-curricular projects and leadership abilities,” says Pretorius. A key determinant of securing a place is demonstrating a drive to take full advantage of the opportunities offered by the campus in question – from cultural clubs to top internships and research groups. Developed by graduates of some of the world’s top universities, Crimson Education’s mentorship combines academic tutoring with extra-curricular guidance and support, even encouraging students to launch a small business or develop a project. “Encouraging diversity from a young age equips a student with the tools they need to take on a changing working world,” says Pretorius. New Bullet & Bone is creating a breakthrough ‘sports care’ category with its inaugural range of four, premium skincare products designed to enhance sporting performance and aid recovery. Each one is infused with a unique blend of potent, natural extracts known to improve stamina, speed, alertness, concentration and recovery. The muscle activating rub, vapour release balm, protective moisturising spray and cooling body wash are also available in a sleek gift set. Developed, tested and manufactured at state-of-the-art facilities in the UK by a team of experts with over 40 years’ experience, this male grooming ‘equipment’ harnesses the natural efficacy of ingredients such Siberian ginseng, geranium and taurine. All products get off the starting block with a trio of active ingredients, unique in combination to Bullet & Bone, in maca extract: offering multi-functional properties that help boost performance, endurance and recovery (while also performing a barrier function for the skin); magnesium: which aids energy production and muscle rehabilitation and jasmine, to aid alertness and concentration. Further components in the ranges are tailored and engineered to assist with those all-important marginal gains in the gym and maximise performance in competitive sport. Bullet & Bone Muscle Activating Rub will give his muscles and joints an instant kick-start using rapidly absorbed, warming and stimulating ginger, black pepper and willow bark. After a workout, the Bullet & Bone Cooling Recovery Body Wash will aid cooling down and muscle recovery. Menthol, eucalyptus and peppermint and essential oils that pack a punch, this high performing wash will stop perspiration and make him feel revived and ready to go. Whether to help ease him into a workout after a long day in the office or maximise performance ahead of competing on track or field, Bullet & Bone is the perfect gift to kick start his lifestyle change at University. These results-driven products are like no other, combining the benefits of sports science know how and high-performance personal care, each variant is carefully designed and packaged to seamlessly fit in with both his high-octane lifestyle and sports bag. The innovation was informed by Bullet & Bone’s recognition that time poor, active men will invest in the latest sporting equipment, gadgets and food supplements to enhance their sporting prowess, but there’s a gap in the market for potent, ‘all-in-one’ skincare tools that help to warm up and cool down. Those around him will also appreciate the very pleasant and gentle, aromatic essential oils infused in each. Available from www.bulletandbone.com and Amazon from September 2018. The Bullet & Bone gift set of four has a RRP of £39.99. 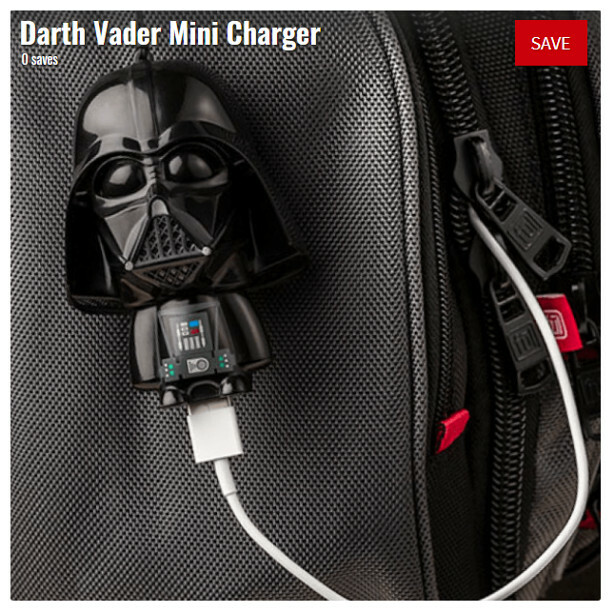 Looking for something unique to take your lunch into work or pack up your children’s snacks? 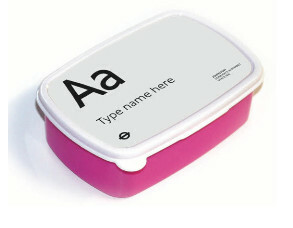 New and exclusive to the London Transport Museum is the personalised Johnston Alphabet Sandwich box. This bespoke lunch box will stand out in your office kitchen featuring your chosen name in the iconic Johnston font alongside the traditional underground roundel. A treat for yourself or for a friend who loves all things ‘personalised’! Loot :- the digital current account designed specifically for young people. Loot is a digital current account and contactless Mastercard card specifically designed for students and young people. Its mission is to empower people to learn more about their money so they can spend more on the things that matter. Loot offers personal insights into spending patterns, allowing users to set daily or weekly budgets or even save up for larger #LootGoals. To date, Loot has signed up over 50,000 users and over £8.5 million has flown through its accounts. Notable investors include SpeedInvest (investors in Holvi, Curve) and Global Founders Capital (investors in iwoca, Kreditech, Facebook). With over 400,000 students heading off to university this September1, many will be taking an array of gadgets with them to their first year residence. 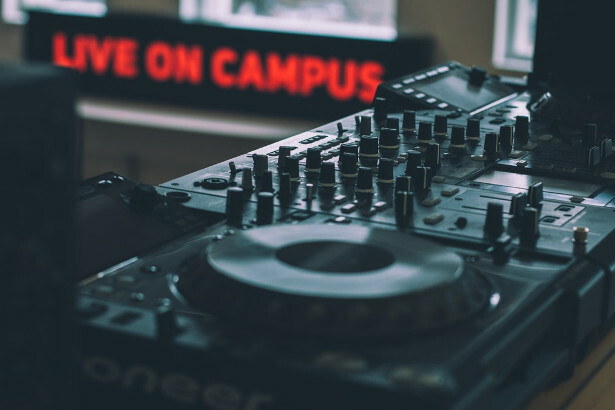 From hard drives to headphones, university halls can house a wide range of expensive tech and most students can expect to be covered by a basic contents policy in their first year. 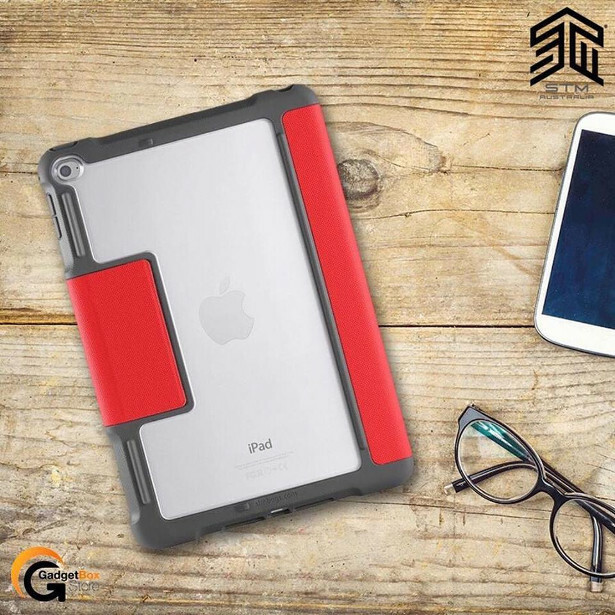 With recent statistics indicating that an increasing number of students are struggling financially3, Protectyourgadget.com is appealing to anyone setting off for university this year that although it is an added expense, having a dedicated gadget policy in place can be a small price to pay in comparison with the hassle and cost of replacing an item as valuable as a MacBook or tablet. The Tefal Access Steam+ handheld clothes steamer is super-efficient, easy to use and safe to use on all ironable fabrics. It has a cast aluminum heated soleplate with ceramic coating for fast, fresh crease removal and reduces the chance of drips at 140C. Boasting 1600W of power and two steam settings – 20g/min for delicates and a 26g/min super turbo – it steams and sanitises clothes, killing up to 99.9% of known bacteria and removing odours in one stroke. The removable 0.2L water tank gives nine minutes of non-stop steaming and a heat up time is just 40 seconds. There’s also a locking trigger for continuous steam, an extra-long 3m power cord and it’s self-standing, so it won’t topple over when you set it down. Five handy accessories are included: a door hook to hang your clothes for steaming; a fabric brush to steam heavy fabrics with ease; a pleat attachment for instant trouser creases; a steam bonnet for use on delicate fabrics and a travel bag to keep your accessories tidy on the go. The Everest collection benefits from Titanium Minerelia+ non-stick coating, reinforced with extra-hard mineral and titanium particles, making it twice as long lasting than previous Tefal coatings. These new additions to the Tefal range also boast the iconic Thermo-Spot heat indicator, ensuring food is cooked to perfection every time, by turning solid red when the optimum temperature is reached. From hob, to grill, to oven, the stay-cool Bakelite handle is oven-safe up to 175C for an hour and the pan is tough enough to withstand intensive use without any loss of non-stick performance over time. Everest is tough enough to withstand all types of utensils without scratching – even metal ones – and can be easily cleaned by hand or in the dishwasher. Created exclusively for cooking healthy and delicious vegetables, Tefal’s new Veggie Pan, a UK first, guarantees perfectly cooked veg full of flavour, juices and up to 30% more vitamin C. The pan features a green Bakelite handle, oven-safe up to 175C for one hour, as well as a veggie-green Thermo-Spot and heat indicator pattern, which turns from purple to green when the optimum temperature for cooking vegetables, 140C, is reached. 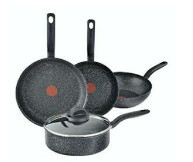 The unique stone effect surface features an extremely resistant, ceramic non-stick coating composed of up to 90% minerals for added durability, which means the Veggie Pan is tough enough to withstand all types of utensils without scratching – even metal ones – and can be easily cleaned by hand or in the dishwasher. This fun mug comes in four colours; green, pink, blue and black. With a capacity of 200ml, it’s great for a quick pick-me-up and fits perfectly under a coffee machine. Like the Travel Mug, it has a silicone body with coffee embossing for an ergonomic grip and the spill proof lid opens by a simple quarter turn, ready for consumption. The Tefal MasterSeal Micro range features a selection of plastic red containers, designed in this colour to avoid food discolouration which can spoil clear containers. The lid is equipped with an integrated valve for safe and efficient microwave use so you can heat your food without the need to remove the lid. Also equipped with the unique freshness seal, the range is dishwasher and freezer friendly and comes with a 30-year guarantee. Each container is 100% leak-proof, enabling safe transportation when on the go, 100% hygienic, with no gaps for germs even after multiple washes, as well as 100% BPA-free, certified, meaning products contain no harmful chemicals and are even suitable for baby food. Prepare delicious, nutritious family meals quickly and easily with Tefal’s new All-in-One electrical pressure cooker. Cooking with pressurised steam, the All-in-One cooks food faster than conventional methods, while preserving nutrients and natural flavours, for healthy and tasty meals in minutes. There are 25 one-touch programmes; pressure cook (low/medium/high), slow cook (up to 9 hours), steam, brown, simmer, reheat and bake. It also has specific recipe functions for rice, porridge, baby food or stew/soup. The DIY Chef mode lets you adjust the cooking time and temperature manually to create your own recipe, or follow one of the 30 recipes that comes with it. Delayed Start lets you delay the cooking process by up to 24 hours and there’s also a keep warm function. Sleek and compact, All-in-One won’t take up much space, while its 6L capacity means there’s plenty of food to go around. It also comes with a steam basket, trivet, measuring cup and spatula, all dishwasher-safe for easy cleaning. The Toast ‘N’ Egg revolutionises breakfast time by combining a toaster and egg cooker in one. Ever versatile, the Toast ‘N’ Egg can either poach muffin-sized eggs on the poaching tray or hard boil them in the steamer tray. There are two wide slots for toasting, ideal for bread, muffins or bagels. The ingenious Toast ‘n’ Egg also features a warming tray for heating pre-cooked meats and can also cook baked beans. Joining the UK’s favourite range of health fryers this July is Tefal’s ActiFry Genius XL, featuring nine* automatic cooking programmes (including two innovative ‘1 Meal in 1 Go menus – wok and world food) and patented Dual Motion Technology for automatic temperature setting, timing and stirring for perfectly-even results. The Genius XL boasts a 1.7kg capacity for making five main meals and ActiFry is famous for its guilt-free chips, curries, casseroles, roasts, stews and sweets, to name just a few dishes, all cooked with little or no oil. ActiFry Genius XL boasts a premium design, with a large touch-screen interface, stainless steel ring and glass lid. Finished in shiny white or black with silver detail, it’s easy to clean, with removable dishwasher-safe parts. The Access Steam Minute is Tefal’s most compact handheld garment steamer, with a height of just 24.5cm. Its size makes it perfect for quick and easy crease removal, to fit in your suitcase or keep in the office. It’s got a heat-up time of just 45 seconds, so you know this savvy steamer won’t keep you waiting. Combining 1100W power with 17g/min vertical steam, Access Steam Minute doesn’t just remove creases – it sanitises too, killing 99.9% of bacteria for crease-and odour-free clothes in a flash. It’s also very easy to use – just fill the 0.15L water tank, removable for under-the-tap filling, wait for the indicator light and get steaming. Enjoy complete freedom of movement and stress-free ironing sessions with Freemove Air, the lightest cordless iron by Tefal. It’s completely cable free, so you’ll never have to worry about the cord getting in the way or creasing what you’ve already ironed. Ultra-maneuverable, its super-smooth ceramic soleplate glides effortlessly over garments, making ironing a breeze. Even the base is designed for ease: because it’s horizontal, it matches your natural movement as you iron. Simply slide the iron into place in one smooth motion with no lifting required. This is Tefal’s first 3000w steam iron, meaning it benefits from a fast heat-up time and up to 55g/min of continuous steam, with a 230g/min steam boost for effective crease removal even on large loads. Launched in January 2018, this steam iron has Tefal’s patented removable Scale Collector, to capture scale particles and maintain long-lasting steam power, as well as a Durilium Airglide Autoclean Soleplate, which features more active holes for highly efficient and effortless ironing, and a scratch-resistant base and excellent glidability. 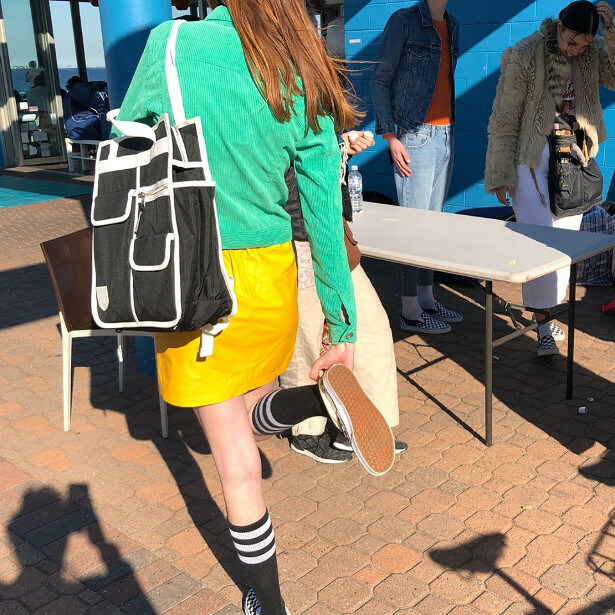 What are some of the practical things students should be thinking about in the weeks before they move to university – is there anything they should be doing now to get ahead of the curve? Definitely! Although most banks will need proof that you are a student before they allow you to open a student bank account, which you can only get once you have enrolled, it’s worth doing some research to find which bank will offer you the best deal. Shop around for a suitable bank account and don’t be fooled by gimmicks. It’s important to see what overdraft facilities the bank will offer so you can see what funds will be available to you and how much it will cost, though a lot of banks do offer 0% overdrafts. Hopefully you’ll budget well enough to avoid this, but you never know! It’s always best to be informed. Things to look out for are whether they offer any freebies such a discounted student rail card, which is will prove useful if you are planning on travelling around the UK and returning home by train frequently. I know it seems mundane but it’s important to make sure you are up-to-date with your vaccinations, specifically the Measles, Mumps and Rubella (MMR) and Meningitis vaccines. Young people, up to the age of 25, are at a higher risk of contracting meningitis, should they be exposed to the virus. Book yourself an appointment with your local GP and get yourself checked out. As you’re getting into the swing of studying, exams and socialising, your health may end up getting pushed to the side. This can be even more essential for those living with a health condition such as diabetes. How can you get on with your studies without and still keep on top of your health? And what about the parents who might be nervous about their child’s wellbeing as they move away from home? The Evergreen Life app can help students take control of their health by allowing them to book GP appointments and order repeat medication all from the palm of their hand. The Evergreen Life app is a personal health record, allowing you to add to and have access to all your health information including conditions, allergies, vaccinations and medications wherever and whenever. You probably don’t have too much time to spend waiting on the phone to get an appointment, or to go back and forth into the surgery to request prescriptions. Save yourself time and effort by using Evergreen Life to book GP appointments online, order repeat medications and view your medical record all with a few taps on your phone. Whether you manage a long-term condition, have repeat prescriptions, or you’re treating a temporary illness, you can keep on top of your medications, so you never miss a pill during your busy uni day. Get helpful reminders on when to take your meds, and record when you’ve taken it in your up-to-date medication diary within Evergreen Life. Being a student already means you’ve got stacks of paper, books and folders coming out of your ears. You probably don’t want to add to this with more letters and documents cluttering up your new halls of residence! Keep all your health documents in one place by storing them in your Evergreen Life app. After signing up at your new GP, you might need to store your registration letter somewhere. Maybe you’ve got some health insurance documentation or gym membership info. Whatever it is, stay organised. Sorted. Make sure your loved ones are clued up on your care. With Evergreen Life, you can share any of the information with others quickly and easily when it’s needed – that can be so useful for children you’re away from home with worried parents. Giving this trusted access to your health information can help reassure parents, family members, friends or carers about your health, whilst also letting them support you. We’re making going back to school a little less stressful! We know going back to school can cause people to be anxious – students, parents and faculty – so we thought we’d give you one less thing to worry about: your lady leaks. 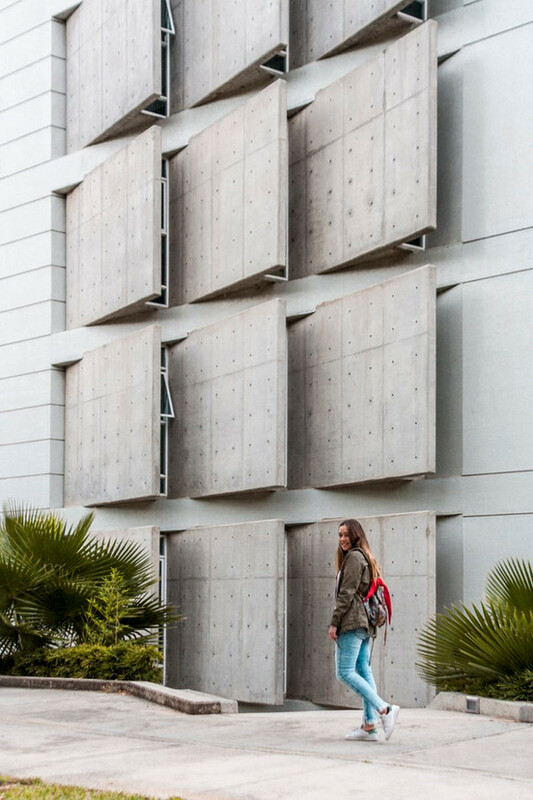 We’ve created the perfect underwear for those prone to light bladder leaks, spotting, periods and discharge so it doesn’t matter if you’re running around campus trying to find your class, dropping your child off at school or teaching a class, Modibodi will always have you covered. So, what is Modibodi? Modibodi™ is modern, protective apparel created to give all bodies more confidence and comfort, and a more sustainable solution to disposable hygiene. Periods, incontinence, sweat, odour and breast milk leaks are leaks Modibodi isn’t afraid to talk about or address. Modibodi’s exclusive technology is paired with organic bamboo outer fabric in most styles. The patented Modifier Technology featur ed in all Modibodi leakproof garments is a three-layer component; a top layer that quickly wicks away moisture, fights bacteria and stops odours, a middle layer that quickly absorbs fluid and locks it away (up to 20ml absorbency) and a third bottom layer allowing for extra waterproof protection, ensuring that the wearer is secure and is reassured that she will not leak through clothing. Modibodi offers various absorbency levels in fabrications that include bamboo, sports merino and microfibre so wearers have options that can best address their flow. One menstruating person can use 12,000-15,000 pieces of disposable hygiene products in their lifetime that each take up to 500 years to breakdown, Modibodi replaces the need for these items and saves approximately 120 tampons from ending up in landfills every 6 months based on the average tampon user using 20 tampons per cycle. It’s Fresher’s Week. You’re probably not thinking past which drinking establishment you will be frequenting tonight, which sports teams you want to join or where the nearest fried chicken establishment is to your halls. Thoughts of next summer are far from your mind. BUT! 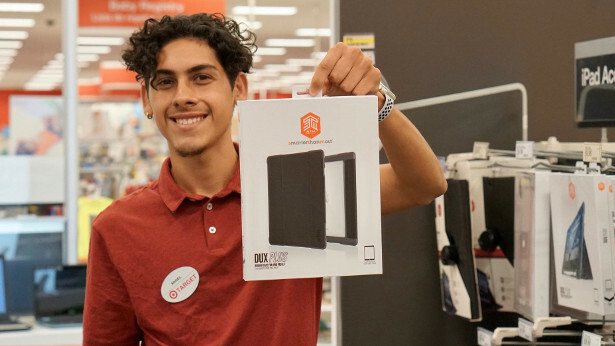 When that time does come around, if you need somewhere to store your things while you head home, or off on an adventure around the world during the break … we got you! Uni Student Storage offers the best value student storage in the mainland UK, from just £1 per week, per box with absolutely NO hidden extras. 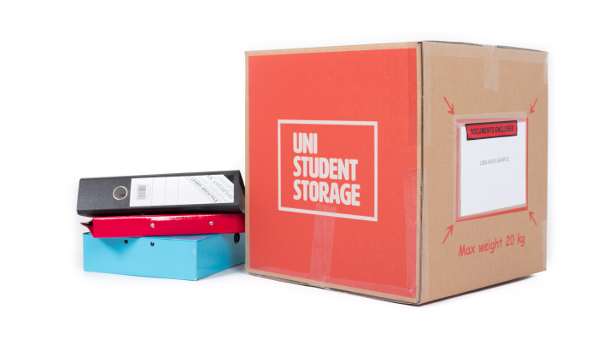 Designed for students, Uni Student Storage delivers FREE empty storage boxes and tape for you to pack up the things you don’t want to take home with you ov er the summer break, hassle free. We collect. We store. We deliver. And we know we’re the cheapest service in the mainland UK. Head to www.unistudentstorage.com to get your free quote today! PIWoP is both a website and a smart phone app that allows you to set price notifications for items that you want to purchase. Once a sale or another price reduction happens, you will get an alert telling you that the item or items you want are on sale. Using PIWoP saves you time from having to keep an eye on sales and other price changes. You can either choose the smartphone app or the web browser and registering is really simple. Get something back without having to claim. You can also log in using Facebook if you prefer. Once you have confirmed your account you can either download the browser extension or app. I went for the browser extension. You can then start adding items to your PIWoP list by searching for them on retailers’ websites. Once you have an item loaded, simply click on the extension on your browser to bring up the alert menu. Set it up to whatever price you want and make sure to save it. 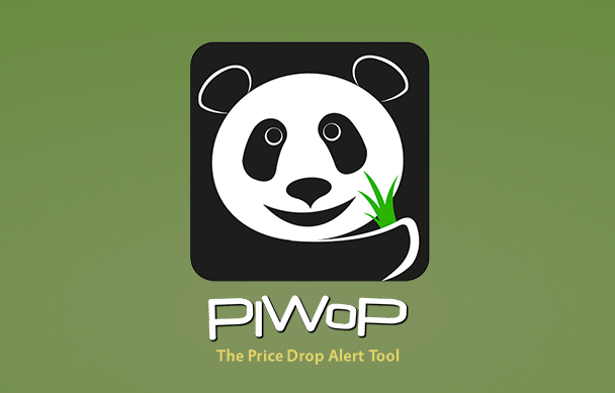 PIWoP will now alert you when the item’s price is reduced. You can add as many items as you like. Your first PIWoP is free, so you can easily get started without it costing you anything. Only after you have received your second price drop alert, so you have saved already, there is a subscription (currently £4.79 twice a year).